Beyond a Boundary is an amazing book that tells us an intimate story between a man and the sport that he has devoted his life. In this case, the sport that we are mentioning is Cricket, and while Cricket is not the most famous or known sport among the fans, it has a cult following that knows how important is. But in the life of Cyril Lionel Robert James, Cricket wasn’t just a sport or a game. It was part of his family tradition and in order to follow the steps of their family, he gains an enormous interest for Cricket, passion that reflects in him while he was attending high school and playing with his closest friends. While the author of this book narrates the events of his life with a lot of passion, you can see the emotions being reflected in each page, and the way he describes the sport that he played for so long can be a great way to describe how a passionate player sees his favorite activity. And while this 1962 book has been praised for years after his released, some fans speculate that this is probably the most complete and best sports book ever written. And the fact that it surrounds the sport of Cricket instead of the most famous sports such as baseball or football gives us a lot to think about the content of this masterpiece. But C.L.R not only writes about Cricket. Before the release of “Beyond a Boundary”, he was a known writer thanks to his other books regarding politics. But it was his passion for Cricket that made him write about the best experience of his life, and how he knew that sharing his story could inspire the different readers of U.S and England. But Beyond a Boundary, it was more than a book filled with personal commentaries about the sport of Cricket, and while this part is highly praised among readers thanks to the clean and direct message of C.L.R about his passion, there are other parts of the book that made it a complete experience. The examination of the society regarding cricket and especially, the social history of the West Indies takes a big part of the content of Beyond a Boundary, and this is highly important since the best element of West Indies at the time was the following passion for the sport of cricket, and how C.L.R spent most of his time practicing with other friends. 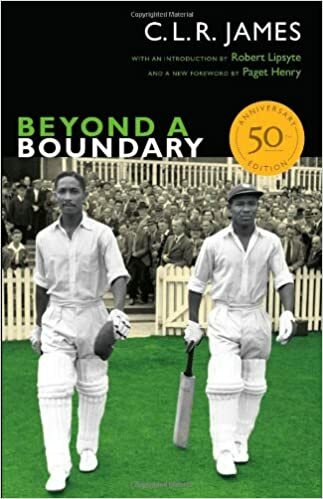 For that, Beyond a Boundary deserves a great spot in the category of the best sports books, thanks to his social commentary about Cricket and the characteristic of the year 1962.